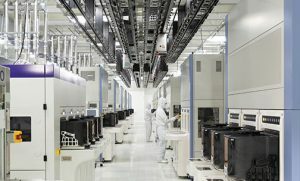 San Jose, CA—Western Digital Corporation and Toshiba Memory Corporation celebrated the opening of a state-of-the-art semiconductor fabrication facility last month. The Fab 6 as well as a new Memory R&D Center are located at Yokkaichi operations in Mie Prefecture, Japan. “Toshiba Memory and Western Digital will continue to cultivate and extend their leadership in the memory business by actively developing initiatives aimed at strengthening competitiveness, advancing joint development of 3D flash memory, as well as making capital investments according to market trends,” the companies jointly announced. 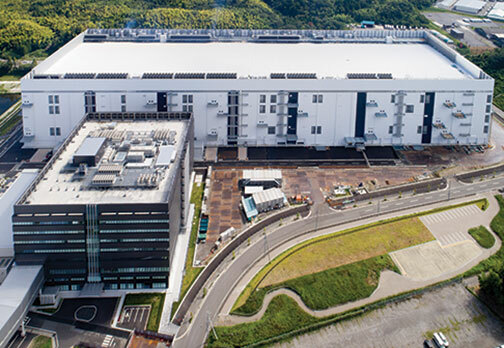 Toshiba Memory started construction of Fab 6, a dedicated 3D flash memory fabrication facility, in February 2017. Working with Western Digital, the company installed cutting-edge manufacturing equipment for key production processes. These include deposition and etching. Mass production of 96-layer 3D flash memory utilizing the new fab began in early September. Both companies expect demand for 3D flash memory to continue to expand in the years ahead. As a result, further investments to expand production will be in line with market trends. In addition, the Memory R&D Center, located adjacent to Fab 6, began operations in March of this year. The center will explore and promote advances in the development of 3D flash memory. “We are pleased to be opening Fab 6 and the Memory R&D Center with our valued partner Toshiba Memory,” added Steve Milligan, chief executive officer of Western Digital. “For nearly two decades, the successful collaboration between our companies has fostered growth and innovation of NAND flash technology. A global provider of memory solutions, Toshiba Memory Corp. develops, produces and sells flash memory as well as SSDs. In April 2017, Toshiba Memory became a spinoff of Toshiba Corporation, the company that invented NAND flash memory in 1987. Today, Toshiba Memory’s 3D flash memory technology, BiCS FLASH, is helping to shape the future of storage in high-density applications. These included advanced smartphones, PCs and SSDs. 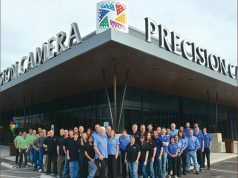 Western Digital “is driving the innovation needed to help customers capture, preserve, access and transform an ever-increasing diversity of data,” the company states. Moreover, Western Digital data-centric solutions fall under several brands. They include G-Technology, HGST, SanDisk, Tegile, Upthere and WD.